OBIEE 12c 12.2.1.1 Now Generally Available! Upgrade it today! The latest version of OBIEE 12c is now available. 12.2.1.1 is available by either inplace upgrade or a fresh new install. I always prefer fresh install and migrating. You can download this at Oracle and notice the installer updated on June 21, 2016. A kind reminder to upgrade your JDK and client tools as well! 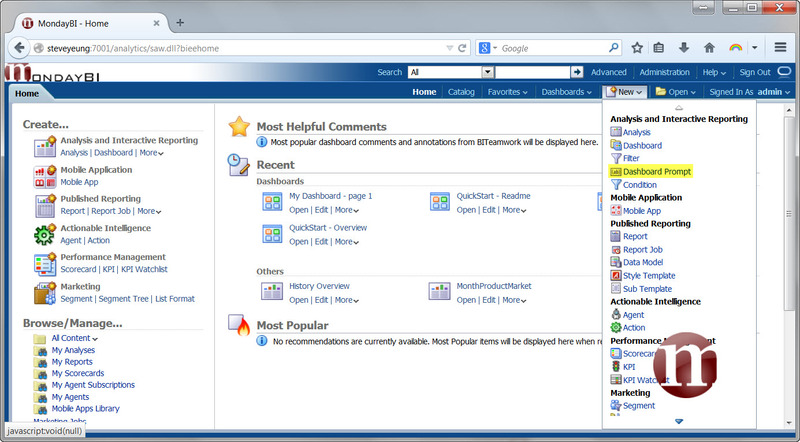 Author Steve YeungPosted on 22 June, 2016 6 July, 2016 Categories OBIEE, Oracle, PatchesTags 12.2.1.0, 12.2.1.1, New Features, OBIEE 12cLeave a comment on OBIEE 12c 12.2.1.1 Now Generally Available! Upgrade it today! So I previously said that the last release which was 11.1.1.7.150120 was supposed to be the last patch for OBIEE. However, on the day of Pluto Fly By, Oracle released 11.1.1.7.150714. Oracle only states that this patch only fixes a major bug for Oracle Business Intelligence Third Party with bug number 20247002. I searched for this bug and could not find relevant information. If you are stable on 11.1.1.7.150714, then I would probably not patch to this version. For more information on Oracle Support page, you can go here. After patching to 11.1.1.7.150120 it so happens that where Total Rows are used, there may be possibilities that you get “ODBC driver returned an error…..Cannot function ship the following expression…”. Yes, 11.1.1.7.141014 also has the same problem described previously in this post here. Actually, a interim fix has been issued for a few weeks now but I wanted to do deep dive tests before I tell everyone that this works. It works!!! Download the Patch 19599154 here. Alternatively, search in Oracle Support for Patch Number 19599154 Windows x64 yourself to get this patch. You have options of fixing 141014 or 150120. For more details of the original bug issue, please view below. And the newest EPM 11.1.2.4 documentation! I do really wonder how Hybrid is doing. Is Hybrid official now? I went through documents, but it seems that it’s still not officially documented. Many of the basic concepts of Hybrid Analysis and Advanced Relational Access have been folded into the functionality of XOLAP cubes in Oracle Essbase Studio. Oracle strongly recommends using the Essbase JAVA APIs. You can also use the Essbase C APIs. This patch set is available for Oracle Business Intelligence Enterprise Edition 11.1.1.7.0, 11.1.1.7.1, 11.1.1.7.131017, 11.1.1.7.140114, 11.1.1.7.140225, 11.1.1.7.140415, 11.1.1.7.140527, 11.1.1.7.140715 and 11.1.1.7.141014. There’s a strange bug since 11.1.1.7.140715 which is when you want to limit prompt values by another prompt, the All Column Values default selection gets reverted to — Select Value–. Here’s what happens and the workaround to fix it. 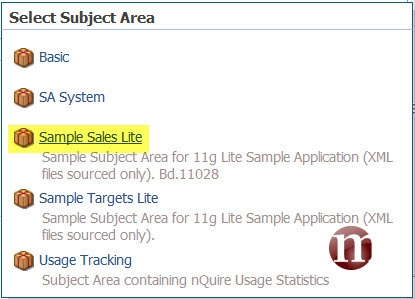 Next, we’ll use Sample Sales Lite as an example. After patching to 11.1.1.7.141014 it so happens that where Total Rows are used, there may be possibilities that you get “ODBC driver returned an error…..Cannot function ship the following expression…”. The way to fix it is to edit the fact columns and change the “Aggregate Rule (Total Rows)” to “Sum” instead of Default. The strange thing is that the first fact column can be left as default from my current observations. Hope this helps everyone who encounter this error. Update 25-November-2014: For row totals, when percentage is present, changing to SUM will cause percentage to add up which is wrong. Temporarily may need to change report based aggregation methodology to none so that incorrect figures are not displayed. I am still working on how to fix this issue.